Branding is the creation of a unique name, image, and brand voice that aims to resonate in the minds of your audience. It encompasses your logo, content creation, and how your organization interacts with and contributes to the community. Branding has the power to turn the masses into loyal, lifelong advocates of your organization and its mission. Nonprofits often make the mistake of thinking a branding strategy only applies to for-profit businesses. However, awesome branding can elevate your organization to new levels of success and recognition you’ve never dreamed possible. 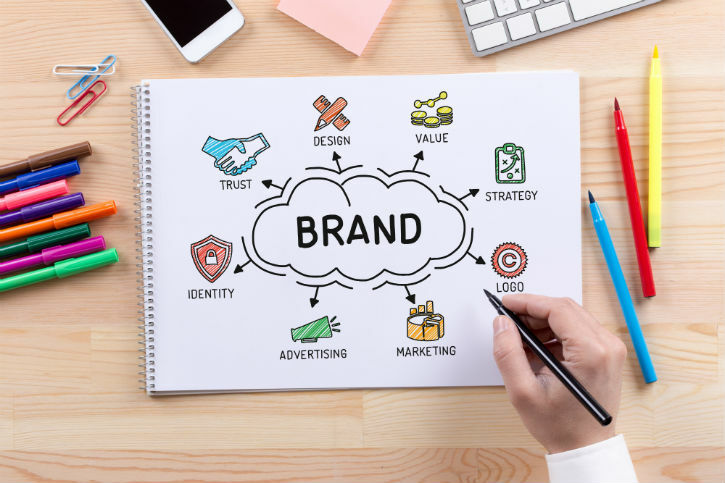 Developing a strong brand for your nonprofit can allow your organization to have a larger social impact and also reach a larger audience with your message. So what are some traits that should be present in your nonprofit branding? Nothing about your brand should be half thought out. Every little detail from your logo, the colors on your website, your slogan, the social media channels you use, and more should be critically and strategically thought out. Your brand will evolve over time but always have a plan in place for why you are doing something. Just because you see a similar organization has success with something doesn’t mean that it is appropriate or viable for your organization’s goals. If you aren’t proud of what your organization is accomplishing, why should the public be? Don’t be afraid to shout your successes from the mountaintop. Your brand should take pride in what you’ve accomplished and the people you’ve helped, in your values, and in your partnerships, big and small. It’s human nature to remember things that make an emotional impact on us, so make sure that your branding will tug at the heartstrings when it needs to. To this day, many of us can’t hear that Sarah McLachlan’s song without immediately feeling the need to rush out and adopt every animal at the local shelter. The World Wildlife Foundation (WWF) has managed to turn a little cute black and white panda into a symbol for all endangered animals. WWF has strategically tied their logo to one of the most endangered species in the world. This has served a dual purpose in helping to elevate the panda bear into a popular and easily recognizable animal with a publicized plight the public can sympathize with, but has also associated it closely to the WWF. One is almost synonymous with the other at this point. Doctors Without Borders is a great example of a nonprofit that has risen to international prominence. Their name alone is brilliant: right out of the gate, you know what type of mission they’re focused on. They have set themselves apart as a thought leader on health issues across the world. The content they share on their website and social media channels is both informative and aimed to create an emotional reaction to the medical plights of the people they serve around the world. The American Red Cross has established themselves as the expert on blood donations and blood supplies in the United States. They have strategically created a presence in cities both large and small throughout the entire country. Though their logo is simple—a single red cross—it is instantly recognizable. And over the past 150 years, their international brand has adapted to be responsive to different cultural contexts, while still remaining memorable. Odds are good that if you’ve seen a random person wearing a pink ribbon you know without even thinking about it that it’s associated with breast cancer. Can you say the same if you pass a person on the street wearing a purple ribbon? Or a yellow ribbon? Probably not. The Sugan G. Komen Foundation has strategically positioned themselves over the years so that people (both those who have been affected by breast cancer and those who haven’t) instantly recognize their symbol. 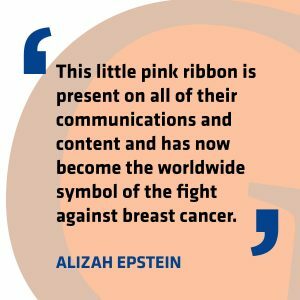 This little pink ribbon is present on all of their communications and content and has now become the worldwide symbol of the fight against breast cancer. Not only does the bright, cheery simple logo for Best Friends Animal Society make you think of a pet’s face but the prominent “SAVE THEM ALL” tag line manages to hit you right in the feels. Their most genius strategy, however, has to be in popularizing the term “purrito.” To draw attention to kitten season, they shared adorable photos on their website and social media of their shelter kittens all wrapped up like little furry burritos…or purritos in this instance. It tugged at the heartstrings and enabled them to significantly grow their social impact. What can you do to improve your nonprofit’s branding? Now that you know the value branding can provide nonprofits, how can you get started or improve upon your strategy? Create engaging content on your website and social media channels that will attract and engage people online. Appeal to their emotional side and share what your organization has been doing to further its goals. People want to see what you’re doing. You’d be surprised at how quickly content can go viral online. Why not yours? What makes your organization so special and distinguishes yours from the others in your niche? Once you can answer this question you’ll be well on your way to standing out from the crowd instead of fading in the background. When there’s an issue that arises in the news related to your mission or field, you want to be known as the source that people should turn to for answers. Rather than using your manpower to try and get the media and public to pay attention to you, they’ll come to you for answers once you’ve established yourself as a thought leader. This should be a no-brainer but we’ll say it regardless. You can’t truly begin to build your brand until you have a firm understanding of who it is that you’re trying to serve through your nonprofit and what they will need and expect from you as an organization. What are your current communications goals and objectives? How well is this current communication plan working? What has been effective and what has been ineffective with your communications? What does your audience think of your current messaging? These are just a few of the questions you will want to answer during a communications audit. When you know the answers you will have a more strategic understanding of how your communications plan can aid in your branding. Alizah is a seasoned, award-winning, creative professional. She founded the Epstein Creative Group—a strategic branding and marketing firm—with the purpose of using design for the greater good. Guided by these values, Alizah supports mission-driven organizations that aim to improve our community, with a focus on helping women and children. Her philanthropic spirit is matched by her creative skills and strong ability to create systems and processes that deliver an easy experience to her clients. Through the Epstein Creative Group, Alizah has assembled a team of passionate, creative professionals that tackle the most challenging strategic branding and marketing projects. Every member of the team understands that the work done by the Epstein Creative Group secures more donors and builds awareness for clients so that their organizations can continue the good work that they do.